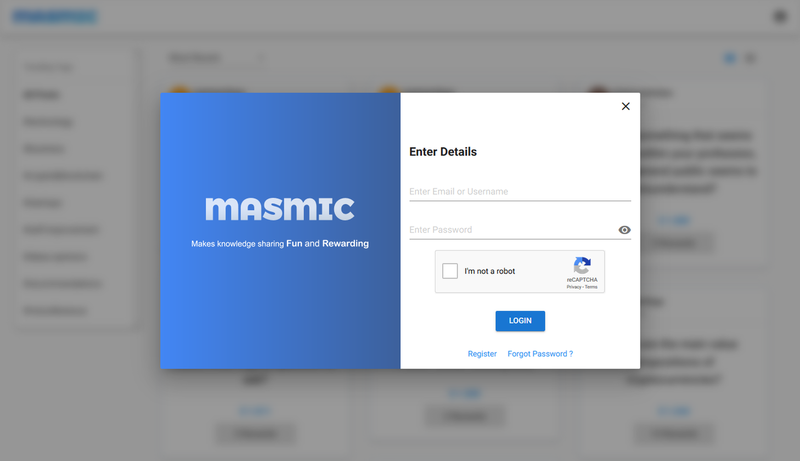 Now you can earn cryptocurrency (XLM) by sharing good answers or voting good answers on Masmic (www.masmic.com). Masmic – A Crypto-based Global Marketplace for Knowledge Sharing offering stellar(XLM) as rewards to their users to answers and votes. If you still don't have joined Masmic then Join Today and start answering questions by sharing your knowledge. 2. Search Functionality: so that you can search questions using particular keywords.